Product prices and availability are accurate as of 2019-04-19 23:20:25 UTC and are subject to change. Any price and availability information displayed on http://www.amazon.com/ at the time of purchase will apply to the purchase of this product. 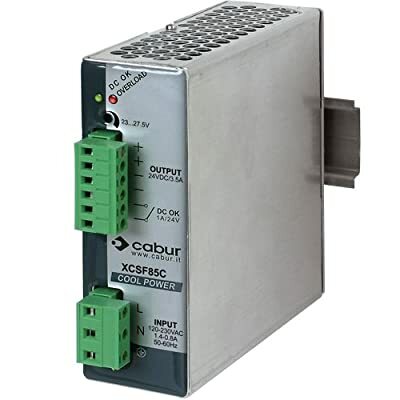 The XCSF85C is a single-phase DIN rail mounted power supply with compact dimensions that only requires 1.5 inches of space thereby saving valuable panel space. 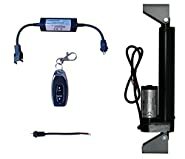 It provides 85 watts or 3.5amps of 24Vdc power using a wide range 90 to 264 volt AC input that makes it applicable for use in North America or anywhere else in the world. The high efficiency design of greater than 89% provides for low dissipated power and a long reliable life. The pluggable connections will save time and money during and after installation. It has cULus approval and has features such as LED status indication, short circuit, over temperature, input and output overvoltage protection. The overload limit for the XCSF85C is 6A for greater than 30 seconds.